In all of my years covering podcasts, I can honestly say I haven’t seen one as truly bursting with shows as this. 2017 will be remembered for a number of advances in the field, whether in terms of artistry or how they continued to break into the mainstream. The increasing amount of attention being paid to the medium has brought a whole new flock of creators to the fold, and with them an ever-growing audience. Since this is uncharted territory for me, we’re going to be handing out a few different accolades: Best Episodes, highlighting entries of programs that made a lasting impact; Best Shows, broken down into Ongoing and Limited series. I think that this makes the best sense, given the particular constraints one has in producing weekly versus in more focused seasons. Finally, Best Overall will be given for the show that dominated the year for me, in terms of scope, production, and impact. There’s also a Farewell section, and one or two Special Mentions. The most difficult task in all of this was choosing. I am a ditherer of legendary proportions, so it took great effort to make a selection of one show over another. Because of this, the selections are in no hierarchical order. My tastes also lean more comedic than other list makers, but I strongly believe that there is as much genius to be found in that which makes us laugh as does cry. Let me know what you think, I’m always want to know what stuck out for you. In January I wrote about this episode for The A.V. Club, calling it a contender for the year’s best. I stick by that today. A complex tapestry of ethically grey behavior and one that simply needs to be experienced with as little foreknowledge as possible. It’s safe to say that the episode is about a hypnotist who gets a call to help someone who you’d absolutely never expect. While the series ran into some murky waters as it progressed, one has to acknowledge that the first episode of Missing Richard Simmons was an electric piece of audio storytelling. Filmmaker Dan Taberski brought listeners inside. If it wasn’t, the whole project would have never captured the attention of the nation, eventually leading to public outcry about Simmons’ privacy. But before all of that, this episode made everyone realize that they didn’t know the first thing about Simmons, and his truly interesting life. If one can take this episode outside of the context of what came afterwards, it shows a real gift for storytelling and production. BBC Radio 4’s Soul Music is one of the more magical programs that I’ve ever come across. It tracks the way that some of the most popular and beloved songs have had an impact on a broad range of individual lives. It might sound simple, but the entire effect is like being awash in a silky audio liquid. The music ebbs and flows while each story pours into each other, creating a magnetic sonic experience. Sandy Denny’s ruminative “Who Knows Where The Time Goes” is itself a wonderfully intimate and emotional song, and the tales in the show rise to meet it. There was almost no way to choose between these two episodes, though they could hardly be more different in tone and content. The first, Little Shop Of Colours, is a gorgeous piece of audio from producer Cathy FitzGerald, detailing a day spent in a London art shop and the many wonderful stories of its patrons. The second, Diana: A Life Backwards is a narration-free documentary from producers Steven Rajam and James Roberts, telling the story of Diana, Princess of Wales in reverse chronological order and entirely through press clips. Both excel at creating a world between one’s ears, transporting the listener totally into very disparate realms. Rumble Strip is work of sensitive genius. Producer Erica Heilman’s program is fascinated with chronicling stories of concentrated, quiet emotion that simply aren’t being told anywhere else. The show regularly provides some of the most stirring episodes that, even years later, I still remember intensely. This episode, about two parallel tales of losing control but making the best of a bad situation through the art of mime, is a nice encapsulation of Heilman’s style, finding profundity in the most unlikely of places. In May of this year Radiotopia’s The Heart launched a four-part series exploring the ideas of sexual consent, and moments when men don’t taken “no” for an answer. It is a bold, intensely personal investigation from producer Kaitlin Prest and one that presaged a lot of the discussion of this current moment. The series is unsparing in all directions, and produces very necessary audio. I was reminded a great deal of these episodes when reading Cat Person, the recent piece from The New Yorker that went viral. The “No” series strikes me as somehow more vital, and honestly deserves to have a similar moment. The Imposter is a show that looks at other arts and culture shows with unease and disdain for the way they treat marginalized and indigenous culture as lesser. It quickly became a favorite of mine and this year, to end of their first season, host Aliya Pabani and producer Kevin Sexton went all out with the two part series “I Pity The Country.” The series begins by following a story about indigenous folk music in Canada, and ends up asking a number of very important questions about art and ownership, and the way that these works are framed in the larger cultural conversation. As with most of the things that The Imposter does, these are important conversations that seemingly no one else is willing to have. This episode is one that is likely to stick with you for a very long time. Telling the story of Oliver Sipple, a gay man who saved the life of President Gerald Ford, only to be outed as gay in the national press and subsequently disowned by his family. It is a haunting, at times dispiriting investigation into of the tenuous nature of identity and privacy. I have a particular affinity towards the smaller stories in podcasting, those focused on the lives or people and places that don’t often get coverage. It’s one of the core strengths of the medium. 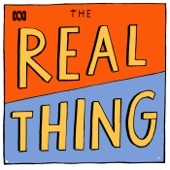 There are few podcasts doing those sorts of stories as well as Australia’s The Real Thing, which brings a touch of that country’s larrikinism to the telling of these intimate stories. I was won over by their “Positively Wilcannia” series, where producers Timothy Nicastri and Mike Williams set out to uncover all of the positive stories from a small, mostly aboriginal town that had been getting unfairly negative press. 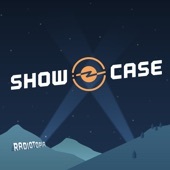 The show is a fun and fresh example of the way that podcasts can tell these kinds of stories. I’ve been rocking with Brittany Luse and Eric Eddings for quite a while, through their previous podcast For Colored Nerds. 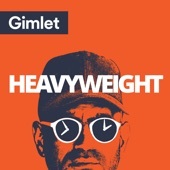 So when it was announced that they were going to be starting a new show for Gimlet Media, it was one of my most anticipated shows of the year. That it has delivered on my expectations is a joy. The show is all about profiling the myriad, kaleidoscopic experiences that make up black culture today. The pair just dropped their biggest story yet as well, a two-part episode exploring a case where the descendants of both slaves and their former masters continued to live on the same plantation as a quasi family until one woman decided to stake out and make a better life for herself. 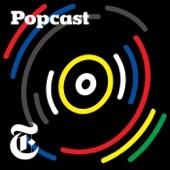 Before I became obsessed with podcasts, I was a bona fide music fanatic, which makes Popcast a total joy for me. 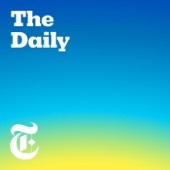 A weekly dissection of music news and criticism from The New York Times’ music staff, the show is buoyed by the effervescent charms of writer, and host, Jon Caramanica. His affection for hip slang and insouciant swagger, coupled with a deep well of music knowledge make the show a constant delight. 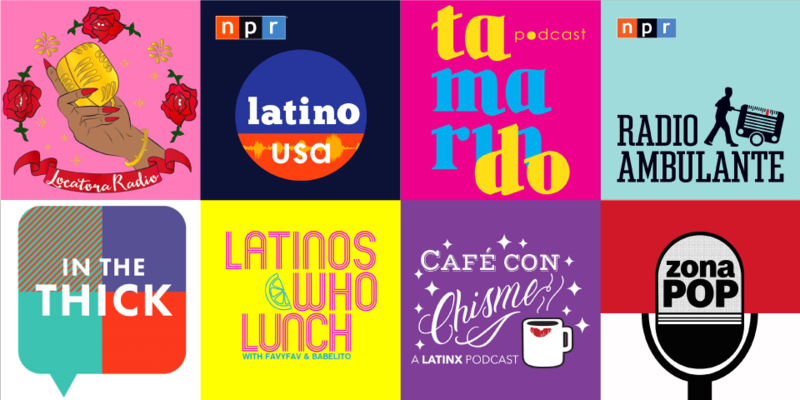 Conversations never lag, nor do they constrain themselves to mainstream topics, exploring everything from Latin trap, to Soundcloud rappers, to women pushing rock and punk forward on the fringes. It is often edifying and always lively. Jonathan Goldstein is one of radio and podcasting’s most idiosyncratic talents, and his latest project feels like some sort of spiritual sequel to Gimlet’s other beloved idiosyncratic podcast, Mystery Show. Each episode sees Goldstein attempt to help different people deal with some big issue from their past. What makes the program work so well is that Goldstein is continually at odds with himself. Possessed of an insatiable desire to help, his skillset often falls short in the moment. His authorial tone, comic self-deprecation, and facility with deep introspection transport listeners on the many curious journeys that the show follows. There may be no more novel a concept for a show on this list, as well as a perspective more important for listeners to hear. 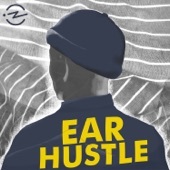 Ear Hustle comes from San Quentin State Penitentiary, where visual artist Nigel Poor works with inmates Earlonne Woods and Antwan Williams to create some incredible narrative audio. The show helps to elucidate and humanize the inmate existence far beyond our hoary cultural tropes. Prison is a world as complex as any other, filled with humans whose experiences aren’t part of some monolith. Luckily, listeners got a show which understands that as acutely as Ear Hustle. 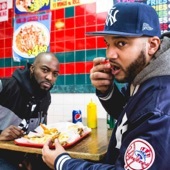 Desus Nice and The Kid Mero are perhaps two of the most astute and hilarious cultural commentators of our day. 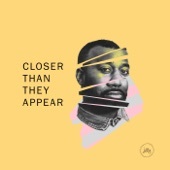 Listening to their weekly podcast is a treat, full of unfiltered, spontaneous conversation that flows so effortlessly across an impressive array of topics. The pair are engaging precisely for their authenticity. They aren’t trying to be anyone besides themselves, and thank goodness. 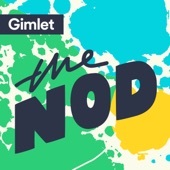 By turns abrasive, breathtakingly funny, honest, and knowledgeable, it is a podcast that fulfills the promise of the open format more than any other on this list. 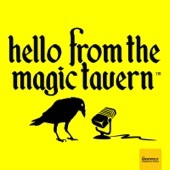 This year proved to be the big one for HFTMT, as the improvised fantasy show began to stretch its legs a bit and play with the world that they’d spent nearly 100 episodes creating. This meant for a whole new status quo, changing the way that the show’s characters interacted. There were big, catastrophic events, even bigger guests, and just heaps of fun. Continually one of the most delightfully ribald programs, it has been a wonderful year of pushing the boundaries and I can’t wait to see what’s next. Everything that you hear on this brand new podcast is the human voice. That’s not to say it’s all talk though. The music beds consist of beatboxing, doo-wop, and other different forms of human expiration. For a show all about the necessity of conversation, and its power for change, the choice adds a subtle layer of reinforcement to its main mission. This is just one of the many aspects which make writer Carvell Wallace’s new show—all about talking through the problems with American society today—such a runaway hit. Not many other shows have such commitment to thematic resonance that it goes all the way down to their soundscape. There are so few documentaries about hip hop. Ken Burns isn’t likely to wax rhapsodic about the form across 10 languid installments. 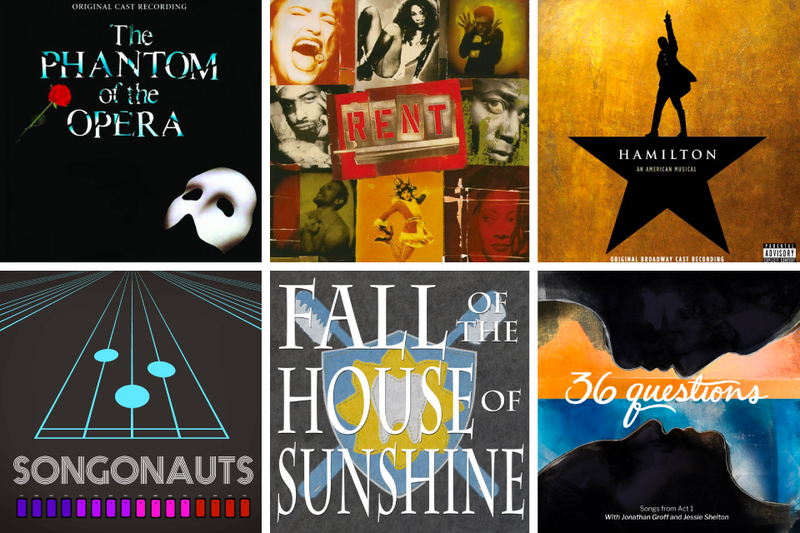 But the form, that is America’s greatest art since jazz, deserves that kind of exploration. 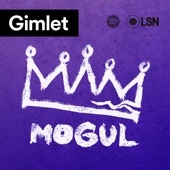 This co-production from Gimlet and the Loud Speakers Network dives deep into the life of a particularly outsize figure from that world, manager Chris Lighty, focusing on his impact on the culture and his surprising suicide. Everything about the series was right, from the lush sound design, to host Reggie Ossé’s perfect blend of objective and subjective storytelling, to the way that the series dealt with allegations of domestic violence from Lighty. 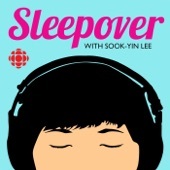 Sleepover is maybe the most inspiring podcast I’ve ever encountered. Host Sook-Yin Lee’s belief in human connection and its power to solve personal problems practically radiates through the aether. The show, which brings together three strangers for a 24-hour period of sequestration to discuss their issues, is unlike anything one has ever heard before. This season took the strangers to several interesting locations across Canada and found even richer stories, wether dealing with autism, being trans, or just being a lonely millionaire. Winning, humane, handcrafted and lovely. What more could anyone ask for? 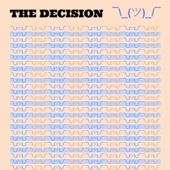 You’d think to yourself that basketball isn’t an appropriate mechanism for philosophical exploration, but Alex Kapelman’s The Decision aims to prove you wrong. The premise of the show is simple, but the results are anything but. Kapelman is a lifelong Knicks fan who has given up on the team and what they represent. He enlists an army of friends and acquaintances to make their case for why he should follow their team. What the audience is really privy to, however, is Kapelman’s journey of self-discovery, as each team represents different aspects of human nature, and his choice becomes less about what kind of sports team he wants to support and more about who Kapelman wants to be in life. 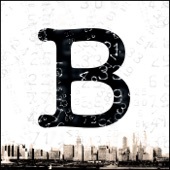 Audio fiction is coming back in a big way through podcasting, and Bronzeville in particular was the show that really captured my attention this past year. Set in the 1940s, and telling the story of a young man running from past trouble, only to find much more in Bronzeville, the Chicago neighborhood colloquially known as the Black Metropolis. It could possibly be a case of homerism—as a Chicagoan I love most things about my fair city—but it is more than that. Featuring a stacked cast—including Laurence Fishburne, Larenz Tate, Tika Sumpter, and Omari Hardwick—and written by Oscar nominated screenwrither Josh Olson, Bronzeville manages to rise above the staginess plaguing most audio dramas while weaving a tense and thrilling story. I can’t wait for season two. 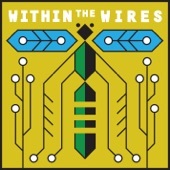 I can say that no podcast has played with the conventions of audio storytelling better than Within The Wires from Night Vale Presents. The second season of the show (still in progress) has been a masterwork in terms of its creative participation and the slow reveal of its story. Predicated as a series of museum audio guides for nonexistent artwork, Within The Wires challenges listeners to make manifest in their mind that which is being described and discussed. It also slowly develops its world, an alternate history version of our world following a war that has led to the eradication of the family unit. It is a well-written, and moreover convincing piece of fiction that serves to highlight many of the things which make podcasts a vital new medium. The Polybius Conspiracy is a truly interesting piece of audio. A fictional documentary series about a mysterious arcade game cabinet that was possibly linked to shadowy government groups, the show is more interested in personal tragedies instead. There are many outstanding achievements within the piece besides its twisting story, and none is more remarkable than the quality of tape that producers Todd Luoto and Jonathan Frechette were able to obtain. Every interview feels absolutely real, and it gives an additional eerie quality to the story. The characters of the show are continually uncertain about the veracity of what they’re hearing, which makes listening to something you’re not sure is real an intensely meta experience. “Just what is going on with white people?” Perhaps more topical than truly political in 2017, this question, posed by Scene On Radio, is nonetheless necessary. And so the show’s 14-part documentary Seeing White attempts to answer it by “exploring witness in America—where it came from, what it means, and how it works.” Hosted by John Biewen, who identifies as a white male, the content shines brightest in the episodes where POC are supported and centered. Driving that aspect of Seeing White is regular guest Dr. Chenjerai Kumanyika who contributes to about 70 percent of the episodes, making him more of a co-host than anything else. It is also Kumanyika who asks the most important question: “When was whiteness good?” on standout episode “Made In America,” which looks at how America was built through the exploitation of a minority group, much like those ignorant red hats that promote accused sexual assaulter and President of the United States, Donald Trump. Consider this required listening. Two shows have justly dominated the podcast conversation in 2017, and they couldn’t be any more diametrically opposite in their approach. One a novelistic distillation of the ways that a person’s life impacts others, collected over the period of several years, and the other a daily analysis of the news predicated on going beyond simple recitation of the facts. 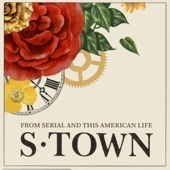 Those shows are, of course, S-Town and The Daily. Both are landmark moments in podcasting, honestly. Despite their tonal differences, the shows are linked through their conscientious production and editing, acting as exemplars of the high degree of skill which goes into creating indelible audio. The pair also captured the attention of the country through the questions which they made listeners ask themselves. These are high water marks for the medium of podcasting because, while there is a great deal which separates them, they exemplify the virtues of the form while pushing it into uncharted territory. Here’s hoping that 2018 has something waiting in the wings to take it even further. 2017 gave birth to a number of wonderful, praiseworthy shows, but it also lost a few along the way. Consider this our “In Memoriam” segment of the column. 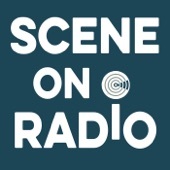 Also, gone but not actually gone, because you can, and should, hop onto their feeds and listen to their back catalogue. I was totally struck by the intimacy and emotional honesty of this act from episode 612 of This American Life. It is one of the few times that listeners are granted real access to the life of host Ira Glass, and the resulting piece is this bit of poignant magic. Also, I’d be remiss if I didn’t give a special shout-out to one of my favorite things: the weird sonic world being created, I presume, by Breakmaster Cylinder after the credits on episodes of Reply All. It is something that started around episode #85 The Reversal, with a delightful Homecoming riff, before going on an interplanetary odyssey, It is among the very few podcast elements that rewards listening through the ads and frankly I love it.